Would you like to know what the #1 absolute most expensive part of building and growing a business is? ANSWER- IT'S ACQUIRING A NEW CUSTOMER. CUSTOMER ACQUISITION. Would you like to know the #2 most expensive part of building and growing a business? Many up and coming, as well as already existing individuals in business, overlook just how expensive the process of acquiring new customers can be.... Do you truly know what your current customer acquisition cost is? Do you know how to properly calculate your current customer acquistion cost? We will pay YOU to deliver birds to our AMAZING Clients in YOUR geographical location. Our process and methodology is very simple...... We cut out all the tedious work that others just choose to voluntarily carry on their shoulders, along with eliminate all the burdens associated with trying to acquire new customers, so they can simply stay in business. We take care of all the customer service needs, we take care of all the payment processing, so you are left with one simple task. YOU SIMPLY DELIVER THE BIRDS ON THE DAY THEY ARE NEEDED IN YOUR AREA, AND WE TAKE CARE OF EVERYTHING ELSE. For every successful delivery you complete, we will pay you the following (SAME DAY). A few things you must know in order to be considered a 1099 employee/partner in our business. 1. You need to have at least 20 pure white racing homing pigeons trained in your area, that can cover a radius of 75 Miles. You need to have a set of nice baskets to deliver the birds. Yes, we require that all birds released in our program by our partners be properly trained to return home to your place after release. This is a requirement, not an option, NON-NEGOTIABLE! 2. You must be readily available to deliver the birds within a 72 hr notice. Many don't want a representative on site, some may ,however, request it. We are all about flexibility here. If you are requested to release the birds on site, you must wear professional attire which means Suit and Tie- NOTHING LESS. This is also NON-NEGOTIABLE as well. 3. You must complete an "Application for Employment Consideration". We don't want to partner with anyone that would not be a good fit for our organization. Yes, you will be required to sign a non-compete agreement, prior to engaging our services and lead generation system. 4. You must be willing to allow the clients to touch or release the birds, if they desire. Whether one allows another to touch the birds or not, has nothing to do with how well you take care of your birds. If a 5 year old child can safely handle a bird with easy instructions, which they can, surely an adult can. Furthermore..If you have trust issues with people touching your birds.... #1- They should not do business with you, and #2- You probably should exit now and get out of this business completely and find something else to do. A large part of the "Inspirational Experience" we provide, incorporates allowing our clients to touch the birds...upfront and personal. We trust all our clients, and they love to do business with us. 5. You must have a legitimate business entity established within your city. You need an official business license and provide us proof of this, and also must be in compliance with your city ordinances. This is Mandatory- and NON-NEGOTIABLE. 6. You must be over 18 years of age, and reside within any of the lower 48 states. Our program does not service Alaska, or Hawaii, or US Virgin Islands...yet. 7. You must be willing to accept the fact that we choose to share a 50/50 model. Healthy margins not only create a win-win for both of us, they more importantly create a better experience for the customer. Most of the hardest work, as well as expensive time consuming work in lead generation, is done on our behalf in acquiring and booking all the dove releases, handling all the customer support on the front end and back end as well. You only need to deliver the birds, which is basically handing you business on a silver platter! The only business opportunites you loose, are the opportunities you otherwise wouldn't take. 8. No night releases, inside releases, or inclement weather releases permitted under our program. If you meet these initital requirments, please continue reading below. In order for us to best assist you in getting started in this "Niche" specific industry, we highly encourage you to take our White Dove Release Assessment which serves as a very valuable measuring tool in the process of getting started. No worries, there are no right or wrong answers, it's simply a very valuable tool we use to determine how we can best help our customers get started correctly the first time in this type of business. After the results are submitted, one of our staff members will go over the results personally with you. Research has shown that those who take the assessment have a much better way to gauge whether this is something they could see themselves doing as a business. If you currently own a White Dove Release business and would like to get a fair share of hot leads that are generated by our website for the benefit of your own business, join our team! 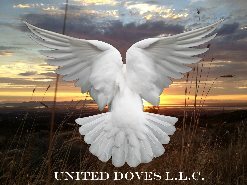 We are looking for White Dove Release Professionals that are interested in growing with us on a national level. When joining our team we will not be competing against you, but we will loyaly work directly side by side with you and provide you all the business we can generate for you, the business owner. The entry level opportunity is available to join as an Affiliate Partner. Results will always vary based on individual experience, as well as other business variables and factors relevant to a geographic location. Our database was specifically built in 2008 to direct business traffic to you, the dove release business owner! Since then, things have really taken off! This proprietary system we have developed has made it easier than ever before in connecting customers with Dove Release Companies. This arrangement we have available is based on a renewable yearly contract agreement. To discuss how we can help your business grow through this system, please call us at 801-580-6476. We respond to all messages left on the voicemail after 6PM(MST). Please let us know a good time you may be reached, and we will call you back. THE WHITE DOVE RELEASE ASSESSMENT IS REQUIRED FOR ANY POTENTIAL PARTNERS INTERESTED IN STARTING THEIR OWN WHITE DOVE RELEASE BUSINESS UNDER OUR PROFESSIONAL GUIDANCE. THIS ALSO ACTS AS A DISCOUNT CREDIT TOWARD FUTURE PURCHASES WITH US. Our affiliate options are available for those seriously interested in getting started in this Industry under our Professional Guidance. Pricing varies based on individual experience. We can give you a realistic figure on the cost after we receive your results from the assessment we have designed. The White Dove Release Business has grown into a multi-million dollar industry, and there is still room for tremendous growth as the demand and popularity grows for White Dove Releases. Part of this growth stems from the fact that the White Dove Release Business requires much less overhead than other small businesses. Whether you are new to the White Dove Release Business, or you have been operating your own and would like better results, we can help. We are active members of the American Racing Pigeon Union (ARPU) and have more than 25 years bird handling experience. We have found what works, and what does not work in this business. "The options are endless, and so is the experience." We can get you started in this wonderful White Dove Release opportunity, as well as service rewarding business once your loft is built for White Homers. For more details, please visit the White Pigeon Sales website's franchise page at http://whitepigeonsales.com/franchising.